Immunohistochemical analysis of paraffin-embedded human lung cancer tissue slide using 13801-1-AP (PAI-1 antibody) at dilution of 1:200 (under 10x lens) heat mediated antigen retrieved with Tris-EDTA buffer(pH9). 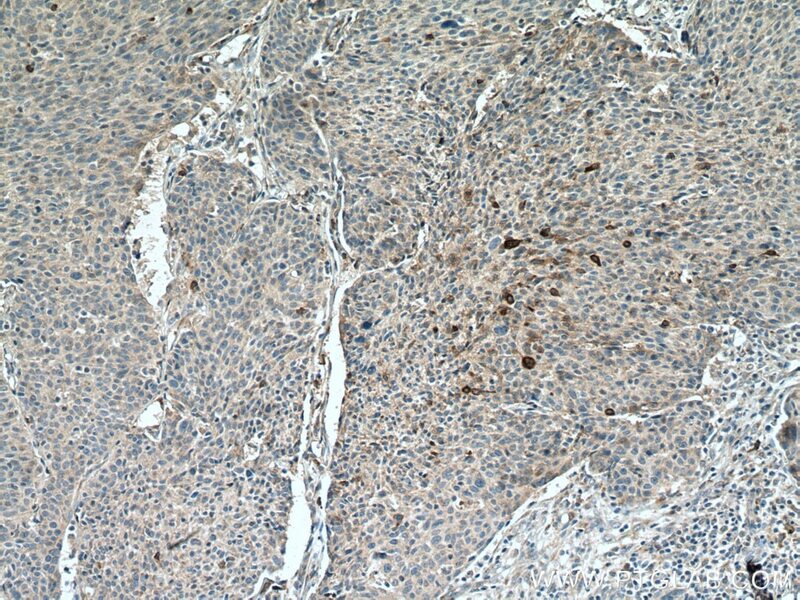 Immunohistochemical analysis of paraffin-embedded human lung cancer tissue slide using 13801-1-AP (PAI-1 antibody) at dilution of 1:200 (under 40x lens) heat mediated antigen retrieved with Tris-EDTA buffer(pH9). IP Result of anti-PAI-1 (IP:13801-1-AP, 3ug; Detection:13801-1-AP 1:300) with SH-SY5Y cells lysate 2000ug. 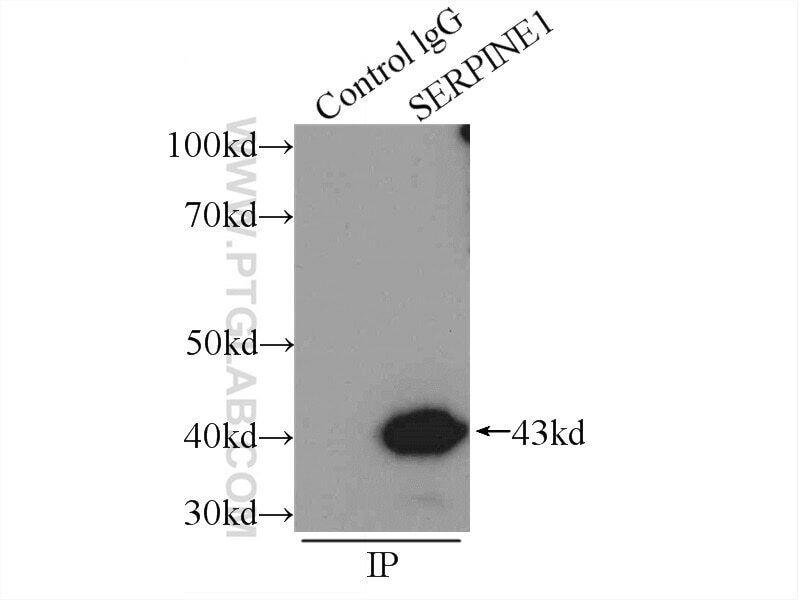 SERPINE1, also named as Plasminogen activator inhibitor type 1 (PAI-1), is a member of the serine protease inhibitor (SERPIN) superfamily. PAI-1 is the principal inhibitor of tissue plasminogen activator (tPA) and urokinase (uPA), and hence is an inhibitor of fibrinolysis. Defects in this gene are the cause of plasminogen activator inhibitor-1 deficiency (PAI-1 deficiency), and high concentrations of the gene product are associated with thrombophilia. In western blotting, we got two bands 50 kDa and 90-110 kDa, and 90-110 kDa consistent with PAI-1 in complex with its target protease, t-PA (PMID: 21596853). Global secretome characterization of A549 human alveolar epithelial carcinoma cells during Mycoplasma pneumoniae infection. Secretomes are a potential source of molecular targets for cancer therapies and indicate that APOE is a candidate biomarker for lung adenocarcinoma metastasis. Inhibition of mTOR reduce Stat3 and PAI related angiogenesis in salivary gland adenoid cystic carcinoma. 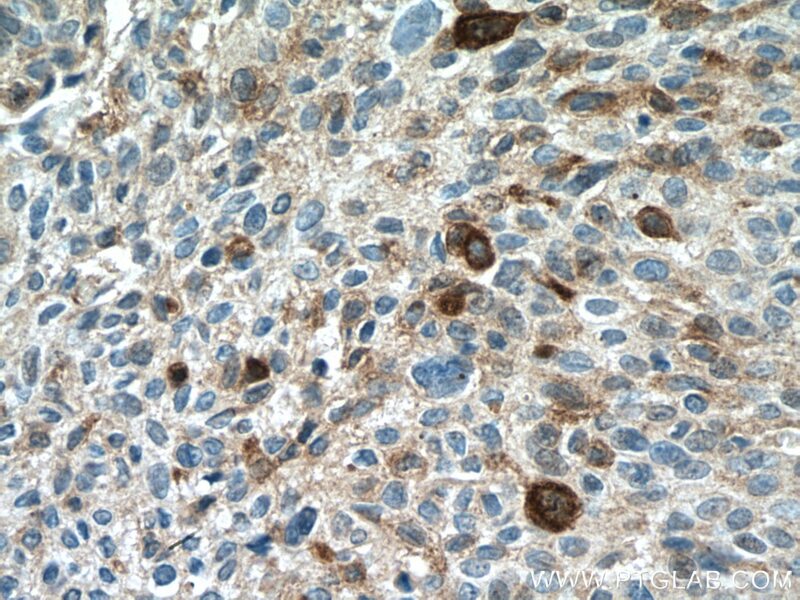 Hypoxia induce TFE3 expression in head and neck squamous cell carcinoma.